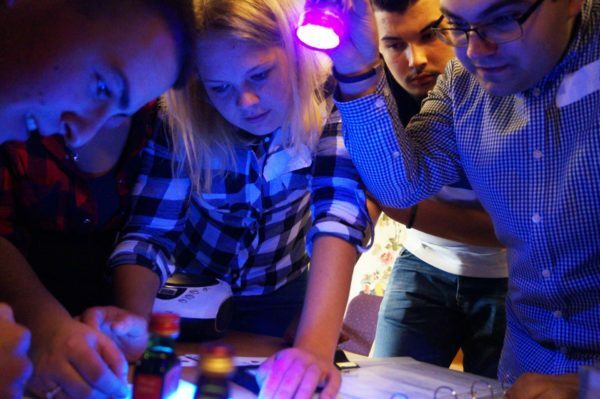 Get to know each other better, create confidence, improve collaboration, optimise interfaces – be inspired by our teambuilding activities! Room-Escape games are currently very popular and common in all major cities. Now you may experience this exciting game in almost every room! The team has one hour to unravel the tricky mysteries and to escape the meeting room. Keys have to be discovered, numbers of puzzle locks detected and the team mates have to think outside the box. Up to 10 participants act in one room and up to 10 rooms can be played in parallel. The master of ceremonies observes the teams and may give one or the other a hint if necessary. At the beginning the participants, are divided into four small teams, they receive their instruction books including the tasks and questions for the upcoming hours. The rally must be accomplished on foot and there are many exciting things to experience with the participants given plenty of freedom in completing their tasks e.g. they have to take a picture of as many laughing faces as possible or make somebody’s day (which of course needs to be documented somehow). Activity stations must also be completed along with team-building tasks. The answers to various questions will lead to the final destination, the place where the presentation of the experiences will take place. But the teams can only get there if all of them work together and exchange information. If required, we can also honour the best performances of the day in an award ceremony. 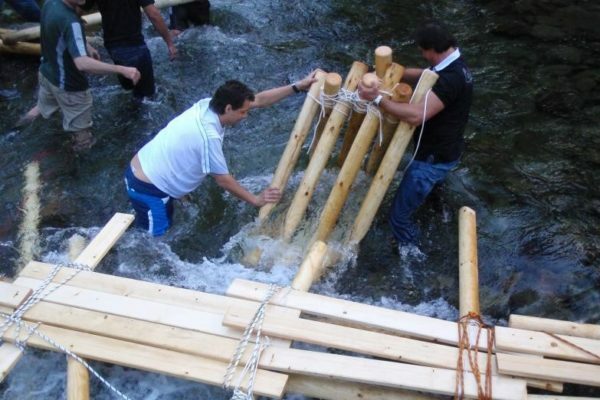 The tasks and exercises involved in the team-building course present participants with challenging tasks. The complexity of the exercises promotes a sense of team spirit and an ability to co-operate and coordinate. A real feeling of togetherness develops. The given challenges can only be solved when all participants work together as a team. The targets can only be met by ongoing teamwork. We can choose from a wide range of different exercises, depending on your needs e.g. dealing with decreasing resources, handling the unexpected, out of the box thinking etc. We will conduct short reflection sessions after each exercise to relate the findings to your daily business needs. The participants are divided into small teams and proceed to building sites which are located apart from one another. Using the given materials (ropes, bars, barrels, etc.) 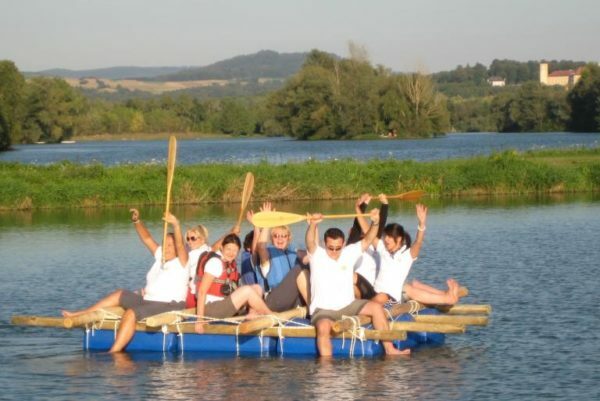 the teams build their own individual raft that should carry the whole crew. Furthermore each team has to complete various creative activities. A regatta will follow to show the seaworthiness of the rafts. 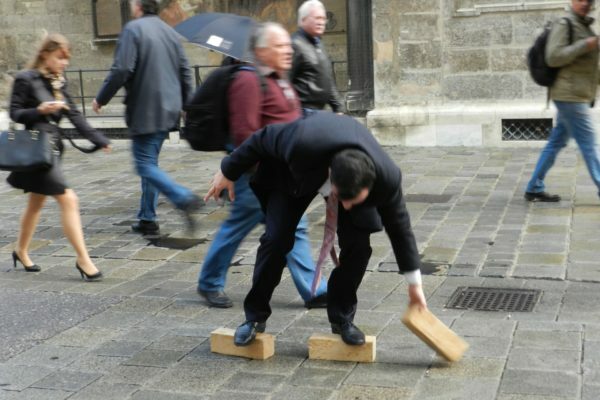 A short trial can be held first. After a short race the different rafts will come together to form one big raft. Finally the teams will have to reach the safe ground as part of one strong unit. The material (ropes, tension belts, beams, barrels, etc.) are spread over the premises and the teams have to coordinate who may use which resources. By passing over their own construction, your employees will get immediate feedback about their work! The challenge is presented to participants in the form of a project order. The task is to build similar racing cars. The different teams are separated and have only limited access to means of communication. Interface optimisation, creative troubleshooting, leadership skills and efficient communication are just some key words behind this exciting task. After the construction, the cars start their race on the circuit in a competition. 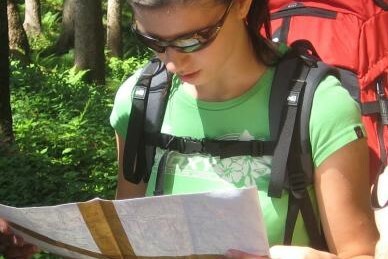 Equipped with walkie-talkies and an individual instruction book for each small team, the groups start at different locations for their hiking tour. On their way to a cosy restaurant the teams have to work hard. The teams are also challenged by the reduced possibilities of communication – using only one channel on the walkie-talkies. Additionally, the teams have to successfully pass the team-stations on their way. 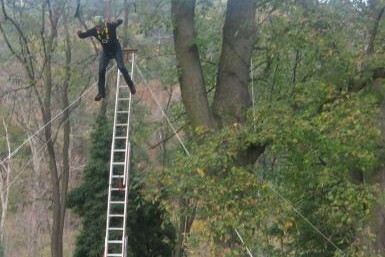 The exercises in our portable high-level-rope courses are performed in a height of up to 12 meters. All we need are two suitable trees and the action can start! 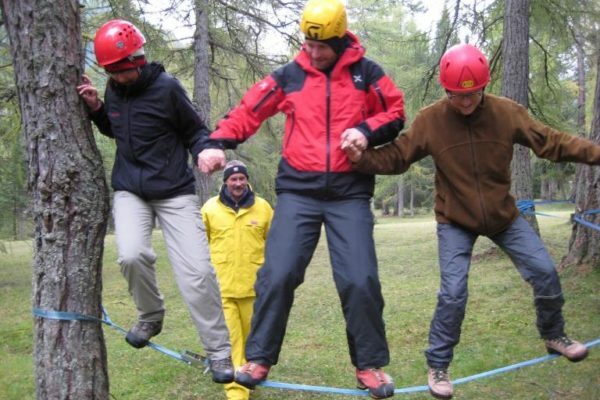 One of the increased aspects of this outdoor experimental education will be especially experienced by having one of your own colleagues help to secure you. 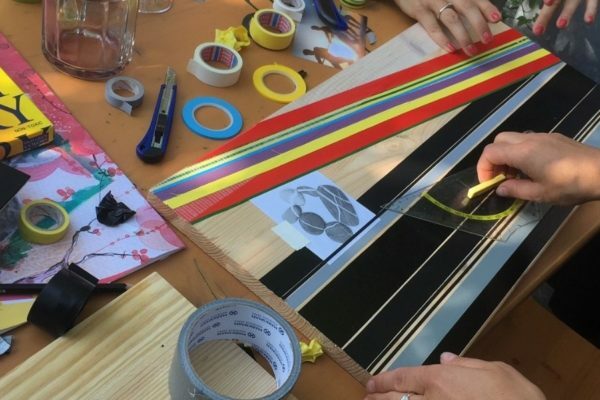 The workshop allows you the freedom to explore your creativity and steer you to new dimensions. Working reflectively together, communication and the ability to achieve consensus are the targets of this coloured workshop.